So your child has decided to become a vegetarian. Click to read my introductory companion piece to this blog . For those of you who may have more questions – particularly about the nitty-gritty nutritional realities of this choice – article is for you! You lovers of Texas steak may feel nervous about parenting a vegetarian. To continue the movie theme of my first article, you may feel a little like Buddy in the movie Elf, when he sees an escalator for the first time. He knows he wants to get to the second floor of the department store, but is unsure how the escalator ride will play out. Similarly, you want to provide balanced nutrition even in the face of vegetarianism, but you are not sure what to buy, cook, or serve in the process. Buddy the Elf, after some tentative stepping and flinching, eventually commits to the moving stairwell and – although he does an awkward (and humorously glorious) man-split along the way – he does make it to the top. And so will you. I will do my best to guide you to a healthful place of comfort, and you won't have to do the splits! By the way, for my longer responses, I will first give a basic answer, then delve into the details, and last give you some take-home pearls. So, if the details get too tedious, skip ahead to the pearls. You can always return to the details for reference. 1. Will My Vegetarian/Vegan Child Get Enough Protein? Answer: For lacto-ovo vegetarians, those who are not vegan and therefore consume both milk and eggs (both good sources of protein) - the answer is most likely YES, without even much forethought. Vegans, however, might not be getting enough protein and will need to strategize. The take-home message for them is that they need to eat a VARIETY of protein-sources each day and enough of them to meet requirements. I suggest counting protein grams for a few days, and - once you get the idea of what you need - then go for gestalt. Now for the specifics. . . Animal-based foods (like meats, fish, dairy and eggs) are considered “complete proteins,” containing all 9 essential amino acids in a quite digestible form. On the other hand, plant-based foods are generally deficient in at least one amino acid, so - in order to get all 9 - you need to eat a variety of different plant-based foods with “complementary proteins.” For example, legumes (beans) are low in methionine but high in lysine, while grains are the reverse. If you eat both legumes and grains in one day, you get them all. Also, plant-based protein is less easily-digestible than animal-based, so you need to consume more protein daily as compared to a carnivore, to get the same benefit. Do note that there ARE a few plant based proteins which are becoming more popular and which are complete, including quinoa, hemp seed and chia seeds. Hooray! If vegans drink soy milk as their milk-substitute, they will get nearly as much protein from it as someone drinking milk (6-7 grams per cup as compared to the 8 grams in milk). However, there are some concerns about the relationship between soy and estrogens and the potential impact on children’s endocrine/hormonal systems (endocrine-disruptors). If you would like to limit soy milk, another option for a milk-alternative is Ripple Pea Milk, made from peas and containing just as much protein (8 grams/cup) as regular milk. Simple almond, cashew, and coconut milks do not typically contain any protein, but there are starting to be some nut milks on the market that are fortified with pea protein (check out Silk Protein Nut milk which contains 10 grams of protein - woo-hoo!). To give you some numbers, people generally need around 1 gram of protein per kilogram per day (just over 1 gram for toddlers, and 0.85-0.95 for kids/teens, but requirements can be 20 percent higher if protein is from harder-to-digest vegetable sources). Let’s consider a young teen who is 100 pounds, or 45 kilograms. That teen needs 43 grams of protein per day, which is pretty easily achieved if the child eats milk and eggs. In breakfast alone, she can get 17 grams, with her cup of milk and cup of bran flakes (8 grams plus 3 grams respectively) plus one boiled egg (6 g). Not bad for one meal alone! If that teen is a vegan, though, she may need as many as 51 grams of protein daily, since her proteins will be harder to digest. Tofu faux-eggs scrambled in the morning could help reach that goal (5g/oz), along with a cup of Ripple Pea milk (8g). Beans are a great go-to (8 g per half-cup), as are broccoli (4 g per stalk), spinach (5g per half-cup), and artichokes (4g per one medium-sized). Expand into ancient grains such as quinoa and amaranth, the latter which can be made into breakfast porridge and sprinkled with hemp or chia seeds for even more protein. And don’t forget peanut-butter sandwiches - they have 13 grams each! 1. It helps to eat dairy and eggs, which are protein-rich. 2. Soy milk and pea milk (Ripple) are protein-rich milk-alternatives. 3. Nut milks like almond, cashed and coconut milks do NOT USUALLY contain protein, but there are some high-protein varieties fortified with pea protein. 4. Eat beans, hummus, soybeans/tofu, spinach and peas. 5. Sprinkle hemp or chia seeds over salads or smoothies, and try the ancient grains like quinoa or amaranth (which you can make into a breakfast porridge). 2. WILL MY VEGETARIAN/VEGAN GET ENOUGH FAT or Omega-3s? Set the scene for this section by remembering the movie Bill and Ted’s Excellent Adventure, when Napoleon Bonaparte, who has traveled in time to a modern ice cream parlor, orders one of those enormous volcano bowls with a mountain of ice-cream. Being a bit greedy, Napoleon eats so much that the servers sing and clap for him and honor him with a Piggy Prize. Napoleon, at least in that vegetarian dining experience, gets more than enough fat! Answer: It is absolutely possible and important to get enough fat, but it is not a given! Keep in mind that people of all diets can make healthy or unhealthy choices even within their dietary restrictions. If your child vegetarian leans toward a diet heavy on the grilled cheese sandwiches and macaroni and cheese, not to mention donuts and cookies, while perhaps tending away from as wide a variety of vegetables as you would like, he/she may actually have a high-fat diet. Many teens, however, go the opposite direction and eat overflowing and deceptively- filling plates of vegetables that do not have enough fat. Fat is important and should make up approximately 30 percent of the energy a child/teen consumes in a day. Since fat provides 9 kcal per gram, teens consuming 2000 - 2600 kcal per day need around 75g of fat per day. Keep in mind, though, that fats are not created equally— what you mainly want for your child are the “good guy” unsaturated ones (both poly- and mono-unsaturated) that reduce cholesterol and triglyceride levels and help for heart health. They are much better than the artery-clogging “bad boy” saturated and trans fats, which should be limited. Good sources of fat include avocados (32 g each! ), peanut butter (16 g per 2 tbsp serving), cashew/almond butter, whole nuts, seeds, and oils such as olive, canola, and coconut oil. It is a great idea to cook those yummy but non-fat veggies in olive or canola oil, as 1 tbsp of either has about 14 g of healthy, mostly unsaturated fat (coconut oil is an option, too, though it has mostly saturated fat). A cup of milk contains 2.5 g of fat, and fortified substitute milks have about that much or more. You will have to read labels on them, as there is some variability - Silk Coconut milk and Ripple Pea Milk top the charts with 5 g and 4.5 g per cup, respectively. And, while we are on the subject of fats, what about those Omega-3 fatty acids (DHA, EPA, and their precursor called ALA) that everyone is always talking about, the ones that help for eye and brain development and also for heart health? The main sources of omega-3s are fish, eggs, and algae, but how much algae is your vegetarian/vegan eating? Indeed, vegetarians and vegans have been shown to have generally lower levels of omega-3s than omnivores and would likely benefit from more, though as of yet there are no officially recommended daily allowances for omega-3s for children (or adults). For adults, there is a suggestion that 250 mg - 1000 mg (or 1 g) of Omega -3s is a good minimum daily goal. Kids/teens can get one of the omega-3s, alpha- linoleic acid (ALA), through ground flaxseeds and hulled hemp seeds (which can be added to pancake mix or oatmeal), chia seeds (which can be added to smoothies), walnuts, soy, and canola oil. Take note that whole flaxseeds will not really help get omega-3s, as they just pass through the body untouched without releasing their good fat content. So you must either grind flaxseeds in a coffee-grinder or buy flaxseed meal (like Bob’s Red Mill flaxseed meal). One tablespoon of flaxseed meal or raw hulled hemp seed has approximately 4 g of healthy fat and about 2000 mg (2 g) of Omega- 3 fatty acids— not bad! Kids can also get Omega-3s (DHA) from Ripple Pea milk, the milk substitute made from peas (32 mg Omega-3s per cup). 2. Peanut butter - hooray for this American favorite! When you look at food labels to see how much of many of our next nutrients are in foods, sometimes instead of a number of units, it will list a percentage. That percentage is telling you what percentage of Daily Value is provided, but Daily Value is NOT the best guide when thinking about your child’s nutritional needs. Daily Value (DV) is a single number issued by the FDA for labeling purposes and is different from the more precise and age-specific Recommended Daily Allowances (RDA), which is what we pediatricians recommend parents follow. RDAs are determined by the Institute of Medicine and can differ from DVs - so get wise to it! In the case of Vitamin B12, for example, younger children have an RDA of 1.2-1.8 mcg, while teens have an RDA of 2.4 mcg. On labels, however, packaging will list a percentage of the Daily Value (DV), which for Vitamin B12 is 6 mcg. If, for example, the label says a serving of your coconut milk has 50 percent the DV, it has 3 mcg, which is great and exceeds the RDA for your child (it’s not just half of what he/she needs!). In some cases, like for Vitamin D, on the other hand, the DV is less than the RDA, so you can get misled into thinking you are getting enough Vitamin D, when you are not. 3. Will My Vegetarian/Vegan Get Enough Iron? Set the scene by remembering Popeye the Sailor Man, who in times of trouble ate a can of spinach, sprouted huge muscles, and pummeled his way to victory. The makers of the cartoon thought spinach gave Popeye tons of iron, which made him strong. Later, however, it was revealed that the then popularly accepted quantity of iron in spinach (35 mg per 100g) was WRONG by a power of 10 and was really just 3.5 mg! A scientist’s TYPO had led to Popeye’s eating spinach and to sales of spinach reportedly climbing three-fold in the United States. Spinach does have a lot of iron insofar as vegetables go, but if Popeye really wanted concentrated iron in a can, he needed to have eaten tuna fish (13 mg per can)! Answer: Yes, vegetarians can get can enough iron if they plan! It is certainly easier for meat and fish eaters to get enough iron, and - unlike the protein situation - milk and eggs are not too helpful as iron sources. Consequently, vegetarians and vegans are both in the same boat. There is a lot of iron in meat, and that “heme-iron” is more easily absorbed than “non-heme iron” in vegetables. So vegetarians and vegans alike will need to eat more of their iron-containing vegetable-based foods to get the necessary iron. It is also important to note that some foods can help or hurt you in your efforts to get iron. Legumes (which have phytates) or coffees and teas (which have tannins) decrease iron absorption from other foods, while your friend Vitamin C - think oranges, strawberries, tomatoes - increases iron absorption. Toddlers and school kids need between 7-10 mg of iron daily, whereas teens need more, 11mg for boys and a whopping 15 mg for girls (who lose iron with their periods). One cup of kale or collard greens has just 1mg, so you can see that you will need quite a bit to approach the daily requirement. Remember oatmeal as a great source of iron - 13 mg in one cup! Dried fruits can be helpful to have around (1.75mg in 1/2 cup of dried apricots), as can peas and pistachios (2 mg in 1/2 cup peas, 1.2 mg in 1/4 cup of pistachios). Ripple pea milk, a milk substitute made of peas, has quite a bit of iron—2.7 mg per cup (on the label it says 15 percent of the 18 mg/day Daily Value)! Soy and nut milks do not have nearly that, but some have 0.75-1mg per cup. Chocolate Silk Cashew Milk has just over 1 mg per cup (or 8 percent of the DV), and every little bit helps! As I have warned before, don’t be misled by percentages of Daily Value on the food labels. The DV for iron is 18mg, but that is actually more than your child needs according to RDAs (even if your child is a female teen who needs 15 mg per day). So, if your oatmeal has 20 percent of the DV of iron, it has 3.6 mg. That is not just 20 percent but more like 33 percent of what your child needs. 4. Ripple Pea Milk is a very good source of iron! Set the scene for this question by thinking of all those celebrities with their milk mustaches in the milk ads. Oh that we should all have a milk (or substitute milk) mustache! Answer: As Marisa Tomei’s character said in the movie My Cousin Vinny, “It is a trick question.” She also used other words not fit for this blog. Still, this question is tough because truthfully, many teens of even unrestricted diets seem to struggle these days to get enough calcium and Vitamin D, as many replace their milk-drinking habits with a sugary-beverage habit. However, if a teen (vegetarian or not) has about three servings of dairy a day plus vegetables that contain calcium, he or she can usually get the recommended 1300 mg of calcium (RDA is 1000 mg for kids 4-8 years old and 1300 mg for kids 9-18) and the 600-800 IU of Vitamin D recommended (600 for 1-9 year-olds and 800 for 9 and up). Vegan kids and teens also can get enough calcium these days, too, IF they drink a fortified milk substitute. This is a wonderful gift of the food industry to vegans, as they have added calcium and Vitamin D to their milk substitute drinks. Whereas regular unfortified soy milk has 6 times less calcium than regular milk, most soy, almond, coconut, cashew and even pea (Ripple) milk at grocery stores today are fortified and have ample calcium, even 1.5 to 2 times the amount in regular milk! Many other foods have been fortified with calcium and sometimes Vitamin D as well, such as cereals, waffles, and orange juice (look for “Calcium added” in big letters on the packaging— but, remember that juice is sugary and not that healthy, so limit it!). Other good sources of calcium are spinach (240 mg per cup) and broccoli (180 mg per cup). Dark sugarcane-derived molasses has quite a bit, too (135 mg in 1 tbsp) — maybe put that over your fortified waffles? Also, mushrooms are your friend— they contain a lot of Vitamin D (634 IU in 1 cup of portobello mushrooms)! Note that for label-reading purposes, Daily Value for Calcium is 1000 mg, which is LESS than the RDA for age 9+ of 1300 mg, and the Daily Value of Vitamin D is 400 IU, also LESS than the RDA for kids 1 year and older. So, when a label on your almond milk says it contains 45 percent of the DV of calcium, it means 45 percent of 1000, or 450 mg. This is actually more like a third (33 percent) of what your child’s recommended Calcium intake should be. Molasses (dark, sugar-cane based) for calcium! 5. IS MY VEGETARIAN/VEGAN GETTING ENOUGH VITAMIN B12? Setting the scene for B12 is just about impossible. The best I can do is refer to the Tom Hanks movie (and Broadway musical) Big, in which twelve year old Josh Baskin gets his wish to turn into an adult and has many adventures as such. By the end of the movie, though, he is missing his youth and makes another wish to again “be twelve.” B12--get it? Answer: Similar to the calcium and Vitamin D discussion, this is an area in which we pediatricians USED to tell vegetarians who consumed milk and eggs that they would be fine, whereas we told vegans they were not getting enough Vitamin B12 and would need a supplement. However, the food industry has come to the rescue! Fortified milk substitutes like coconut, soy, and almond milk now are fortified with Vitamin B12. One cup of Silk Soy or Organics Plain Soy milk has the Vitamin B12 that you need in a day. Fantastic! So - you decide - you can take a multivitamin with Vitamin B12, or you can make a habit of drinking fortified milk substitutes. Without either of these things, though, a vegan may not get enough Vitamin B12. Again, don’t be confused in reading labels. In the case of B12, Daily Value - which is what percentages are based on for food labels - is a lot higher than RDA, which is the vitamin recommendation for kids by age. Younger children have a Vitamin B12 RDA of 1.2-1.8 mcg, while teens have an RDA of 2.4 mcg. On labels, however, packaging will list a percentile of the Daily Value (DV), which for Vitamin B12 is 6 mcg. If, for example, the label says a serving of your coconut milk has 50 percent the DV, it has 3 mcg, which is great and exceeds the RDA for your child. 6. IS MY VEGETARIAN/VEGAN GETTING ENOUGH ZINC? Answer: Lacto-ovo vegetarians who are good about drinking milk probably are, but vegans may not be. To make things even harder, zinc quantities are often not even listed on packaging. The RDA of zinc for kids 9-13 yrs is 8 mg/day, whereas girls and boys fourteen and up need 9 mg/day and 11mg/day respectively. The DV of zinc is 15 mg -- quite a bit higher than these RDA recommendations--so remember when reading packages that your child doesn't need as much as the label would lead you to believe. The kings of zinc provision are oysters (74 mg/cup), which provide 70X the amount of zinc in servings of a lot of other foods, but that doesn't help our vegetarians/vegans (or many omnivores who are texturally-challenged by oysters). Legumes, nuts, and seeds, however, can help you get enough zinc. A half cup of beans has 2.9 mg of zinc, and an ounce of cashews or pumpkin seeds have 1.5- 2mg. 7. IS MY VEGETARIAN/VEGAN GETTING ENOUGH FIBER? Answer: Vegetarians and vegans SHOULD be getting enough fiber if eating a varied diet with many types of vegetables. However, this is not a given! Some vegetarians subsist on breads and cheese and are not getting the fiber they need. Fiber is a challenge for many children and teens these days, as evidenced by the large number of constipated kids seen in the pediatric office. Look to whole grains, vegetables and fruits (with the exception of bananas) to be excellent fiber sources. Kids need about 25-30 grams of fiber daily, and they can get 5 grams in a serving of bran flakes alone. One rule of thumb is that for every 1000 kcal that a person eats, they should strive for 14g of fiber. I hope these answers help you to provide and oversee a balanced diet for your vegetarian or vegan child. Vegetarian and vegan diets can be both healthy and delicious. You just need to watch for areas where your child's food choices may be a little lacking in key nutrients and stay open to trying new and different healthful foods. I am reminded of the movie My Cousin Vinny, in which New York lawyer Vinny Gambini, on his first morning in the American South, looks down at his breakfast. "What is this here?" he asks. The cook retorts, "You never heard of grits?" Vinny answers, "Sure, sure I heard of grits - I've just actually never SEEN a grit before." Enjoy your adventure! And remember that your pediatrician and a whole team of Cook nutritionists are here to help if you need it. Get to know Daphne N. Shaw, M.D. Dr. Shaw is a Cook Children's pediatrician in Fort Worth (Henderson), board certified in pediatrics. To make an appointment with Dr. Shaw, call 817-760-2096 or click here. 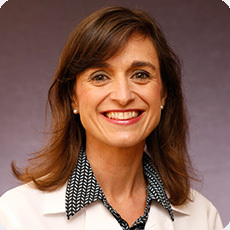 Dr. Shaw graduated with honors from Princeton University in Princeton, N.J., before earning her medical degree from Baylor College of Medicine in Houston, Texas. She followed with internship and residency at Baylor College of Medicine’s general pediatrics program at Texas Children’s Hospital and Ben Taub Hospital. She wrote and illustrated a children's book called No Shots for Me about a little girl confronting her fear of getting vaccines. Her outside interests include spending time with her husband, two children and two dogs (as well as some fish and even a gerbil), as well as traveling, reading and writing. I know lots of vegan children. My own son has been vegan since he was a teen and is 6'2, 185 pounds, and doing great!